The town was first settled around 1800. 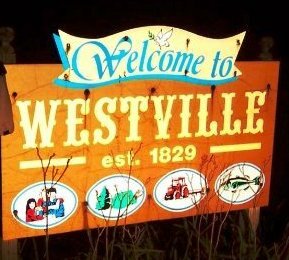 The Town of Westville was formed from the Town of Constable in 1829. The community has always been largely a farming community with rich clay soils in the north and sandy soils in the southern part of the town. The Salmon River meanders through the township and has always been important to its early industry and its agriculture. 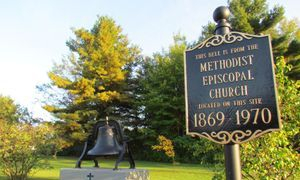 In the 19th century, Westville, was largely settled by Scottish and English people who had migrated from Vermont and other parts of New England. 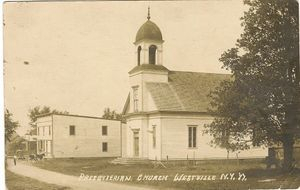 The only churches in the community were Protestant, the Presbyterian Church at Westville Corners and Methodist-Episcopal at Westville Center. Around the time of the American Civil War, there was an influx of French-Canadians into Northern New York State and some also took up farming in the community. In the 19th Century into the early 20th Century there were several small industries in the community, a grist-mill, a butter factory, a starch factory and several sawmills. Most of these industries were located on the Salmon River. Over time the industries disappeared and left only farming as the stable economic activity as it is today. Located on Briggs Street Road in Westville. Located at the intersection of County Route 19 and the Coal Hill Road in Westville. It is located on the East side of the road. Located on the south side of the road between Westville Center and Constable on State Route 122. 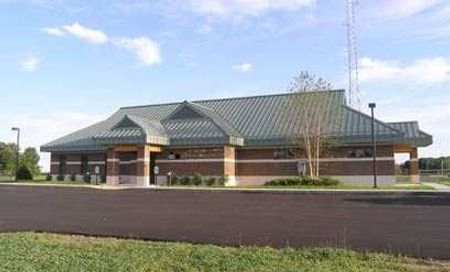 It is approximately 1.50 miles from State Route 37. 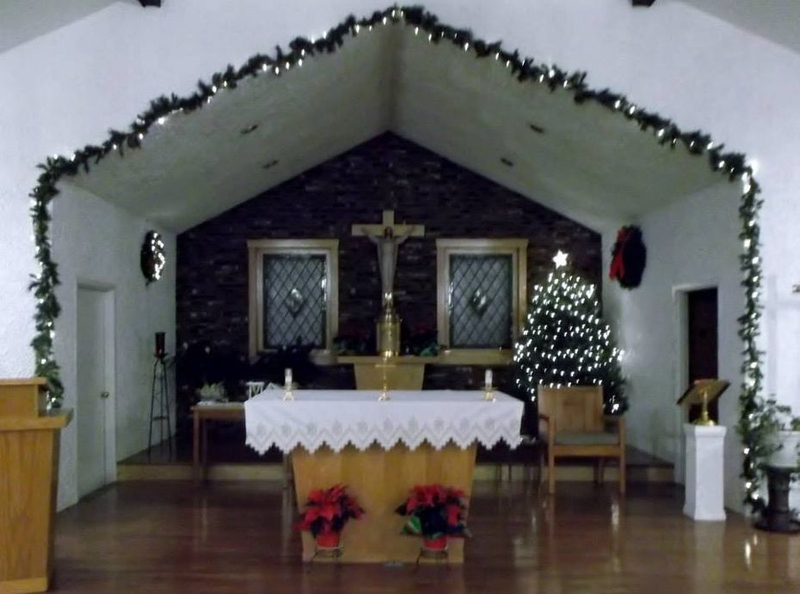 Located 10 miles North of Malone on State Route 37. 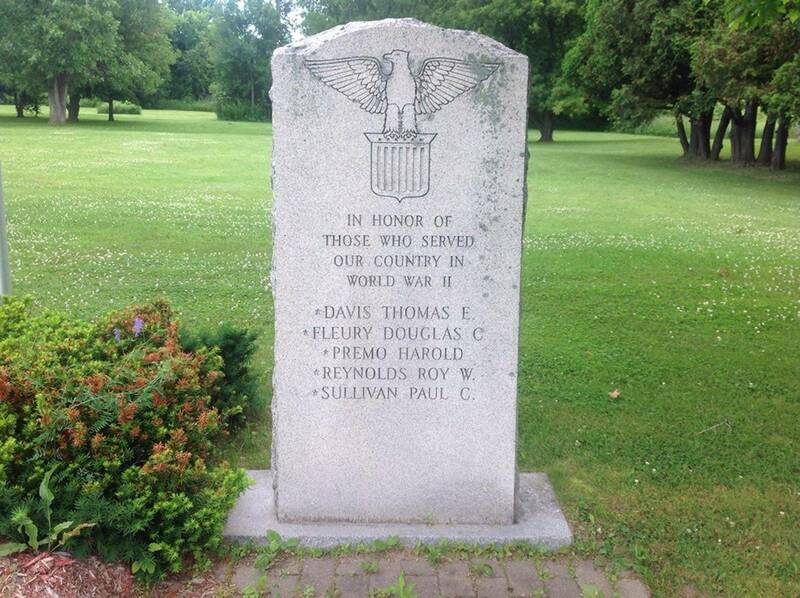 This stone is located on private property on Sand Street (also known as Downer Road) in Westville. This stone was discovered in June of 2002 by Joy Wilson, Vice President of the Westville Historical Organization, while walking in the woods.